What is gap insurance coverage for cars, is it worth it ? A new car might be the worst investment in the world. Why ? A new car loses 15% to 20% of its value the minute you drive it off the dealership lot ! But this phenomenon is not limited to new cars, used cars also quickly lose their value. 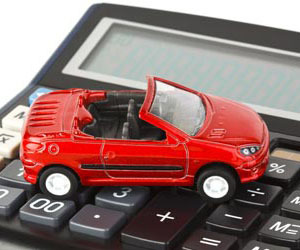 If you are financing your car, it is unlikely that your car’s value will be equal to or greater than the amount of financing over the life of the loan. The bottom line is that most people owe far more than their car, new or used, is worth (i.e. upside down car loan), and that can have extremely expensive repercussions in the event of an auto wreck. Gap insurance might be the solution to avoid such a disaster. What is gap insurance for cars ? Auto gap insurance covers the “gap” between what your insurance company will pay out and the amount of money you owe on your car loan in the event of a total loss. When you buy a car, the retail price that you pay is greater than the vehicle’s resale value. On top of that, if you financed your car, you likely bundled additional costs into your loan that you cannot recoup, including sales taxes, title fees, emission fees, and registration. Depending on how much of a down payment you put on your car, you may immediately be upside down on your car loan the moment you drive off the lot. That position can then be greatly exacerbated should your car get totaled, in which case you will get less money from your insurance company than you still owe on your car loan. Say you buy a vehicle for $27,000 with $2,000 down. Shortly after purchase, it might only be worth $18,000 to $19,000 by insurance company calculations, based on factors including the car’s condition, price surveys, and industry guides such as kelley blue book. Therefore, if you destroy your vehicle and get the maximum insurance payout via collision coverage, you might still end up with a $7,000 loan balance and no car ! Do you need gap auto insurance ? If you finance a car with a high rate of depreciation, you can benefit from purchasing gap insurance for cars. Most vehicles swiftly depreciate, but some cars depreciate very rapidly. If you have financed your vehicle for more than 4 years, gap insurance auto may offer you some additional protection in the event of a total loss. A shorter financing period improves your loan to value ratio. In other words, the “gap” between what you owe on your car and what it’s worth will narrow and disappear much sooner with a short term loan than it would with a longer term loan. If your down payment was less than 20%, you may owe more than your car is worth. If your car is totaled or stolen, gap insurance can help you pay off the balance of the loan. If you rolled a loan balance from another car into the loan, gap insurance can prove beneficial in the event of a total loss. You may be required to purchase gap insurance if you are leasing a vehicle. If you drive more than the average 15,000 miles annually, you can benefit from purchasing gap insurance. Cars with high mileage depreciate more quickly than other cars. If you are a single car family, you probably cannot afford to be without a car for any period of time. Gap insurance coverage helps indemnify your family in case of a total loss. Essentially, you do not need gap insurance if you are certain that your loan to value amount will not leave you with an upside down car loan in the event of a total loss. How much does gap insurance cost ? The typical gap insurance quote is roughly 5% of the portion of your annual insurance premium related to comprehensive and collision coverage. These rates can vary a great deal based on car value, location, and driver history. For example, if you pay a $600 annual premium toward comprehensive and collision insurance, your gap insurance quote will likely be around $30 a year. How to get gap insurance ? You can purchase gap insurance from the car dealership, your finance company, or an independent insurance agent. However, it is usually best to avoid buying this insurance from the dealership where you purchased your car. The gap insurance rates quoted at dealerships can be up to 4 times the amount of the typical rates. Request gap insurance quotes from your insurance agent or an independent insurance company instead. Or you can try compare gap insurance online. You will want to buy gap insurance right after securing a car loan. However, delaying the purchase until you can drive to your insurance agent’s office might save you hundreds of dollars. Gap insurance coverage only applies to the length of your loan. Once you pay off your loan, you no longer need this particular coverage. Furthermore, the premium for gap insurance is usually paid up front or financed into the loan. For example, if your gap insurance premium is $10 a month and you financed your vehicle loan over 72 months, then you may have to pay the entire $720 at the time of purchase or roll it into the loan balance. But remember, if you sell or refinance the car before the term of your loan has expired, you should receive a refund. Even though you paid your gap insurance premium up front, the amount is still prorated over the life of the loan. If your policy was set at $720 over 72 months and you decide to pay off, sell, or refinance the car three years later, you should receive a $360 refund from your insurance provider. This refund should be automatically disbursed as soon as the insurance provider is notified of the sale or refinance. However, in some instances, dealerships take their time issuing the refund or will not do it without a reminder from the customer. If you refinance your vehicle, remember to buy gap insurance for your new policy to make sure you still have coverage for your car. While gap insurance can play an important role for many car owners, there are still plenty of situations where acquiring this insurance will likely be a waste of money. If your car is worth far more than the loan and you know that your insurance company’s total loss payout will exceed the amount of the loan, you don’t need to buy auto gap insurance. If, in the event of a total loss, you have the ability to continue to make loan payments or pay off the loan, you don’t need gap insurance. If, in the event of a total loss, you will not need to replace your vehicle, you do not need gap insurance. If your loan is for a relatively short period of time for example, 6 to 12 months you don’t need to buy gap insurance. Car ownership can be expensive. After seeing their principal and interest payment, many people resist the idea of paying another $15 a month in addition to their regular comprehensive and collision coverage. Yet in most instances, gap insurance is a “must have” expense if you buy a car on credit. If you don’t have it, you run the risk of paying off a pricey car loan for a vehicle that you can’t drive. Do you have gap insurance ? If so, have you ever had to use it ?